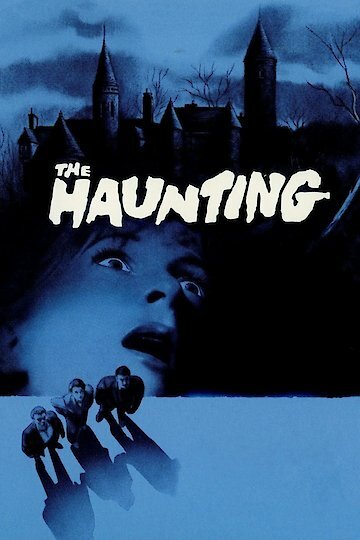 "You may not believe in ghosts but you cannot deny terror"
The Haunting is a 1963 psychological horror movie, an adaptation of Shirley Jackson’s book, The Haunting of Hill House. Its cast includes Julie Harris playing Eleanor, Claire Bloom playing Theodora, Richard Johnson playing Dr John Markway, Russ Tamblyn playing Luke Sanderson, and Faye Compton playing Mrs Sanderson. The film was directed and produced by Robert Wise, screenplay by Nelson Gidding. It was filmed at MGM British Studios, and Ettington Hall, in Ettington, Warwickshire, England. The Haunting, begins with Dr Markway’s voice, detailing the tragic story of Hill House. Dr. John Markway’s investigation of reputed paranormal activity at Hill House brings in Eleanor, Theodora, Luke Sanderson, and Grace Markway. From the start, Eleanor is frightened but also feels she belongs at Hill House. She becomes increasingly unstable; is it due to the house, or the stress of her life before arriving at Hill House? The Haunting is currently available to watch and stream, buy on demand at Amazon, Vudu, Google Play, FandangoNow, iTunes, YouTube VOD online.